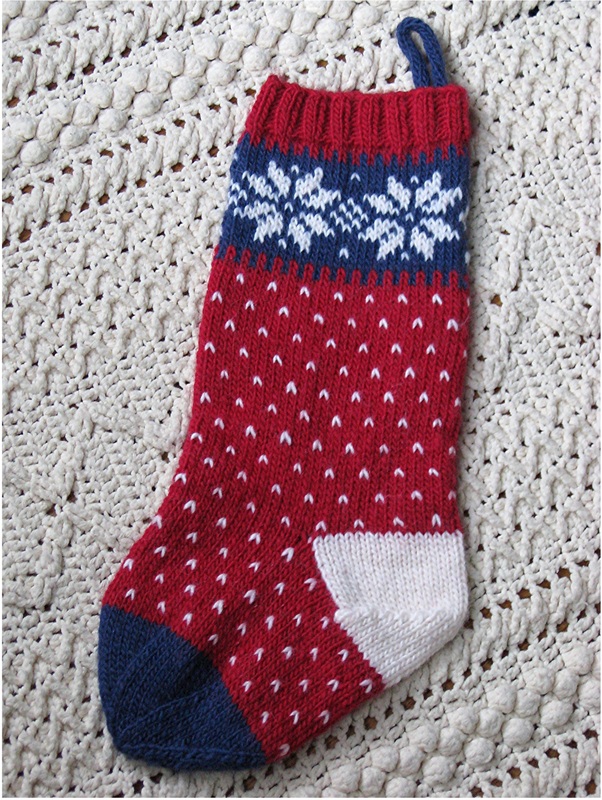 Snowflake Christmas Stocking: This pattern uses 75 gms of a main color, and 25 gms of each of two contrast colors. Gauge is approximately 4.5 stitches per inch in stockinette stitch, but gauge is not critical. 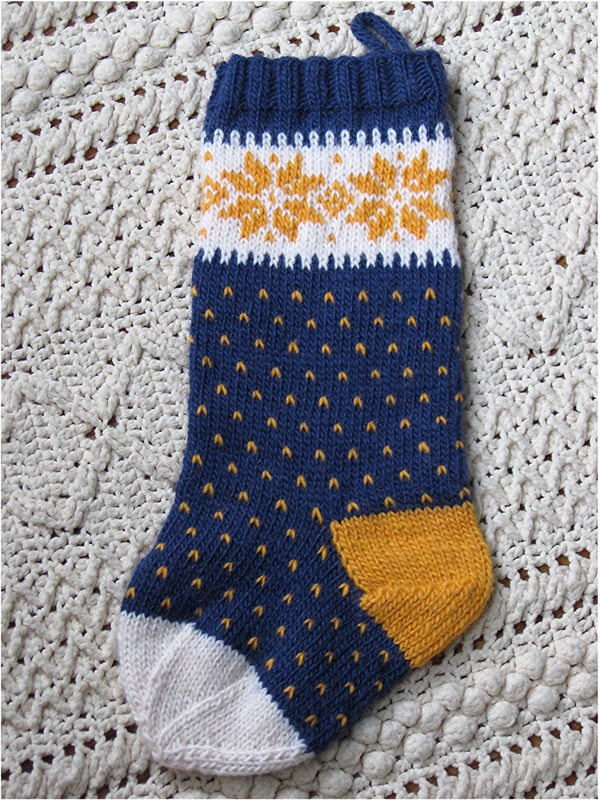 It is knit from the cuff down on a circular needle, with dpns to finish the toe. Stocking measures approximately 20 inches long and 7 inches wide, measured flat (14 inch opening). 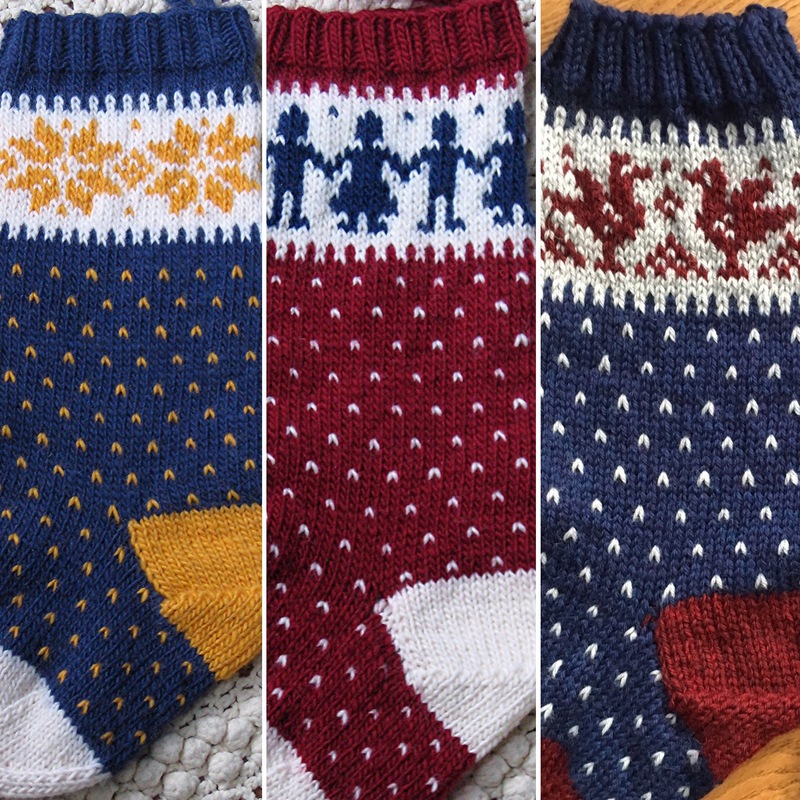 This pattern is available as a pdf file through Ravelry.com; pay is through PayPal and it’s an automatic download. Just click the “buy now” button and you’ll be guided through the process. It’s not just about the snowflakes! I’ve added some additional cuff designs for your holiday fun. Enjoy!